3/16" steel sheet with a 55,000 psi minimum yield strength cut away from the collar. The Replacement Collar shall be manufactured by GME. Identify collar that needs replacing. Cut old collar out, being careful not to cut into the vertical tubes. Clean the area to be welded thoroughly with a wire brush or grinding wheel. 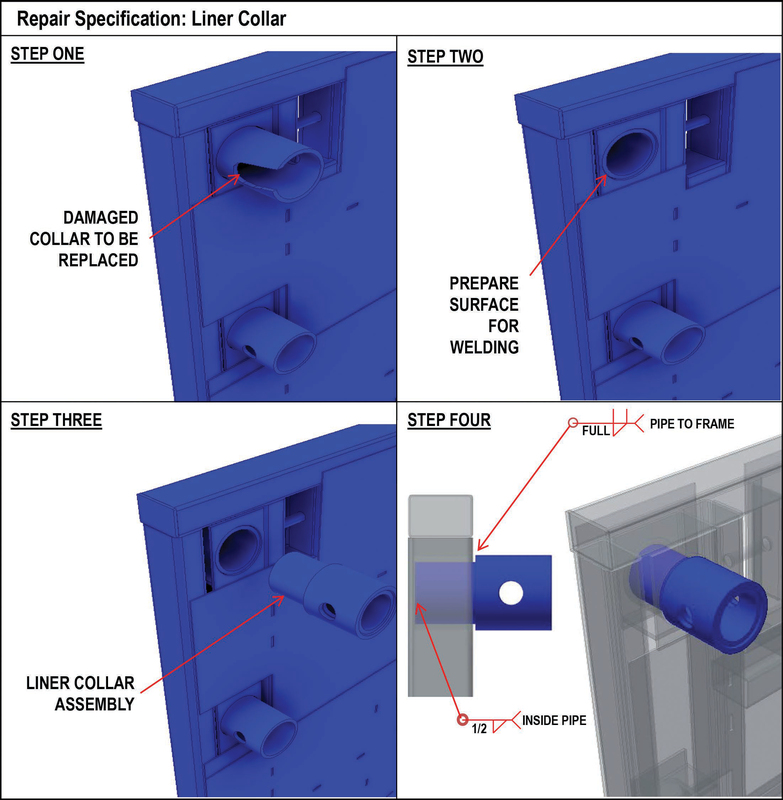 Insert assembly into collar opening in frame, making sure in leaving a gap between frame and outer pipe (collar) to insure full penetration weld. See detail in step four illustration for gap and welding details.